Wouldn’t it be great if someone made it easy to share all those documents that you’ve created in Word®, PowerPoint®, AutoCad® or Excel® in your website? You could add a lot of depth to your website without building web pages. You could save time and money by distributing information online, rather than in line at the post office! 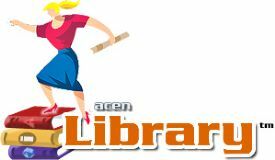 ACEN Library™ makes it fast and easy to turn your website into an information hub. Click and upload any number of documents of any file type in seconds. Set private access too. When visitors login, they will see only those documents that you posted for them. Library includes ACEN’s unique and powerful multiple-document Zip and download feature. Replace your fax machine with Library™ today. We use Library™ to share documents with investors and our Internet Guides. Library™ is simply the easiest tool to add in-depth information to your website because you can use your favorite and familiar software to create the information. Type it up with Word® and upload. Upload a Powerpoint® presentation or Excel® workbook. You can also add drawing files, videos, music – any file type is fine. Library™ simply makes it easy to organize, upload and control access. Library™ can store and share pubic and private information. Since you can add-to or change the information in your library anytime, it’s a great tool for handling required reporting such as quarterly reports, product data sheets, owners manuals and standard forms. Visitors can help themselves, relieving you of the hassle of copying, printing and delivering.